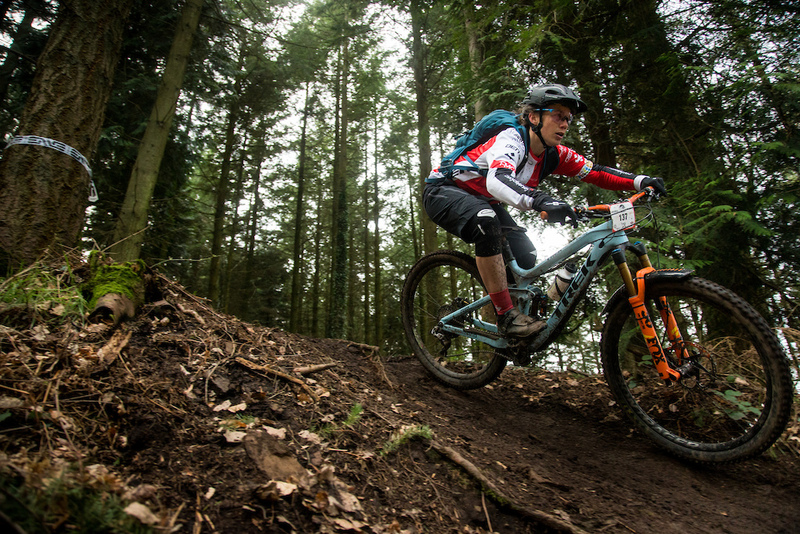 Last weekend saw the first round of the Haibike Mini Enduro for 2019, four action-packed stages awaited over three hundred riders that were situated on the rolling hillside of the Forest of Dean. Luckily, the predicted wind and rain also held off and the sun made an appearance throughout the day which made it perfect for racers and spectators to head onto the hill and see what was on offer to them. The racers were split for that half of the categories would head over to stages 3 & 4 where the rest would head to stages 1 & 2 first. This allowed riders to have more time to practice in the morning and also having more time to ride their bikes than wait in a car park. In addition to this, it meant less time queuing and getting cold. Riders were ready to race and get round 1 underway. Tracy Moseley made a return to racing. She was not alone, there was a strong field of women in all categories who helped and supported each other throughout the day. 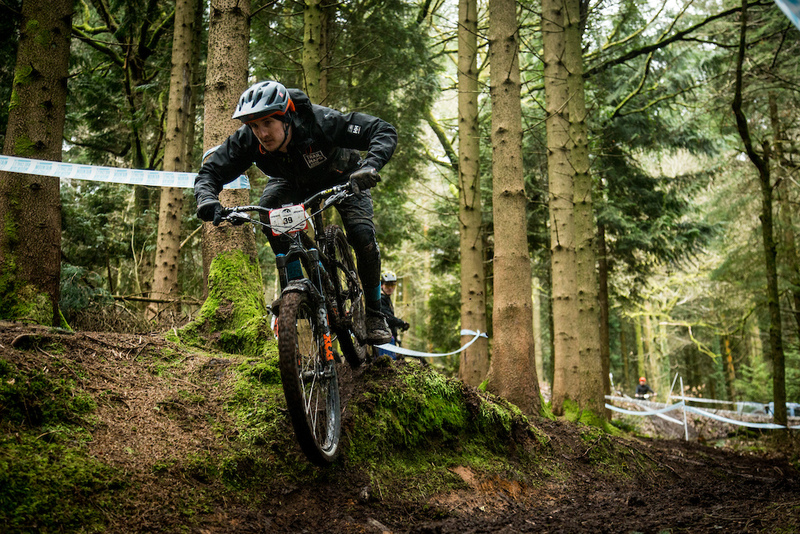 Stage 1 provided an action packed start which linked throughout with one of Forest of Dean's most known downhill trail called 'Corkscrew'. The undulating top half was fast and flowing which had a few features that provided that something extra to the stage to make it exciting, this would change. 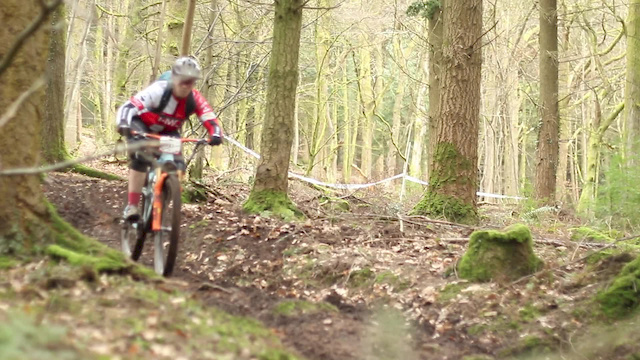 Over the road and the stage changed dramatically, the fast and flowing singletrack suddenly became rooty and technical. Various line choices that linked with the downhill track made it interesting and also allowed rider to experiment with line choice. The stage was finished off with a punchy climb that dipped into a steep and slippery chute that was littered with roots to catch the racers if they were not on their toes, it also offered some great spectator viewing throughout the day. The weather held off on race day, but the damage was done the night before that turned the loamy surface into a slippery ice rink in some places. By far the most physically demanding and longest stage of the day, stage 2 saw the racers' fitness come into play and would test everyone...even the E-bikes! The top section was full of undulating singletrack which was slippery due to the weather the night before, pumping wasn't an option with most riders opting to push through the pain barrier and pedal most of the flat and long top-half go the stage. Racers were then treated some tight and flowing singletrack through the trees which continued into some steeper and faster sections below. Some would not remember the puddle before the hill climb and were caught out with only a handful making it up the steep climb after. The fastest time was just under three and a half minutes, showing who put in the training and fitness testing over the winter. 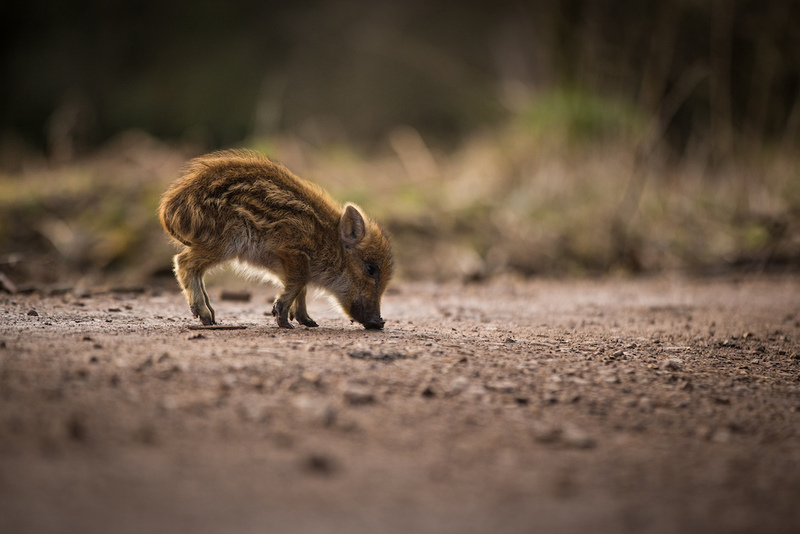 There were plenty of spectators at each stage, the VIP's of the forest also come out to show their support! Stage 3 was another short stage but packed a punch throughout. The top half would see racers traverse across the forestry that saw many riders either pump or pedal so keep momentum and pace before heading into the lower section, keeping flow was again very important. The lower section was described as a 'roller coaster' with many banked turns, drops and switchbacks that created a great variety of flow and technicality if linked up perfectly. 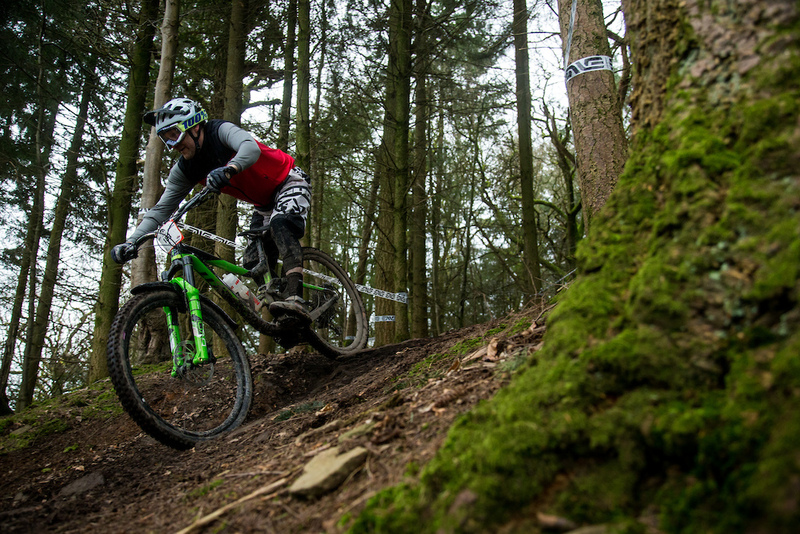 Many racers saw this as one of the most talked about and favourite section with many 'foot out flat out' approach to the slippery and off-cambered switchback, making it enjoyable to ride. Keeping momentum and linking each turn to the other would lead to a great time on this stage. Stages 1 & 2 were fast and flow where as stages 3 & 4 were steep and technical, creating a perfect mixture of trail variation. A love or hate stage for many, stage 4 was the hardest out of the four with many features that caught many by surprise. The top half was fast and twisty but dramatically changed into a long off-camber traverse along the steep hillside, the trail was littered with roots that made it very difficult to ride. If you kept speed and looked ahead, it made the trail a lot easier to read and prepare for what's coming. This caught a lot of riders out and saw them going off-track very quickly. The rain didn't help neither which made the bottom very slippery but added that something 'extra' to the trail which saw riders have a smile on their face when crossing the line. I heard many stories from this stage and not everyone had a clean run that's for sure! 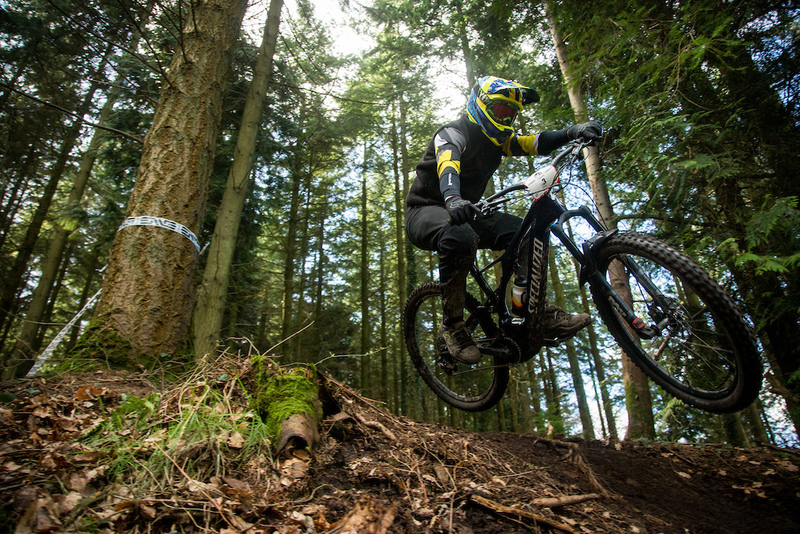 So that wraps up round 1 of the Haibike Mini Enduro for 2019, will you be at round 2?